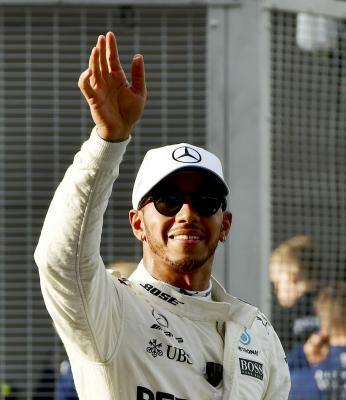 Mexico City, Oct 26 (IANS) British driver Lewis Hamilton, who is leading the Formula 1 racing championship for 2017, said he does not want to settle for anything less than a win at the upcoming Mexico Grand Prix, which would also seal his fourth F1 title. If his closest contender, Germany’s Sebastian Vettel (Ferrari), wins Sunday’s race, Hamilton will need to finish fifth or higher to clinch the 2017 F1 title, reports Efe. However, if Vettel loses, Hamilton can win the title by just securing the ninth position. Speaking to reporters in Mexico City, Hamilton said he would prefer to win the race and lift the championship. He admitted it could be a close race with Ferrari and Red Bull, but added if he could repeat his performance at last week’s race in the United States, the team would definitely win. The three-time champion added he had worked really hard since losing the title to Nico Rosberg last year, adding that he was very proud of this season where he was more consistent and communicated better with his team. Hamilton, who hosted athletes Mo Farah and Usain Bolt as guests in his last two races, said this weekend he has invited two Mexicans as special guests, without revealing their names. Lewis also signed a helmet like the one used by legendary Brazilian racer Ayrton Senna, which will be donated to the Red Cross for an auction, and the proceeds will be used to help those affected in the September 19 earthquake in Mexico.